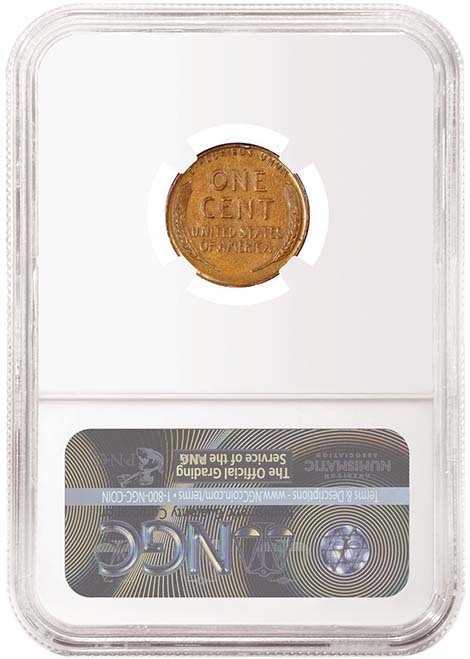 The first 1943 bronze cent to be discovered is now graded by NGC and was on display at the NGC booth at the ANA World's Fair of Money. Numismatic Guaranty Corporation (NGC) has certified the most famous of all mint errors: the Don Lutes, Jr. Philadelphia 1943 Bronze Cent. This legendary coin was the first discovery of a 1943 bronze cent, which is considered by many to be the King of Mint Errors. The Lutes specimen is now graded NGC AU 53 BN and will be on display at the ANA World's Fair of Money in Philadelphia, August 14-17, 2018. This media attention prompted Lutes to seek confirmation of his coin's genuineness. 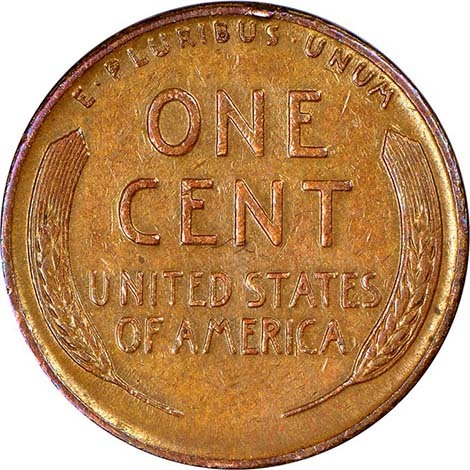 He loaned it to prominent numismatic researcher and authenticator Walter Breen in 1959, and Breen declared unhesitatingly that the cent was real. Over the years since 1947 the legend of Lutes' 1943 bronze cent has only grown. It was never offered for sale, and the numismatic community was not able to see this amazing specimen until recently. Now elderly and living in a nursing home, Lutes has finally decided to pass on his prized discovery coin to a new owner: the coin, now certified by NGC, will be sold by Heritage Auctions. 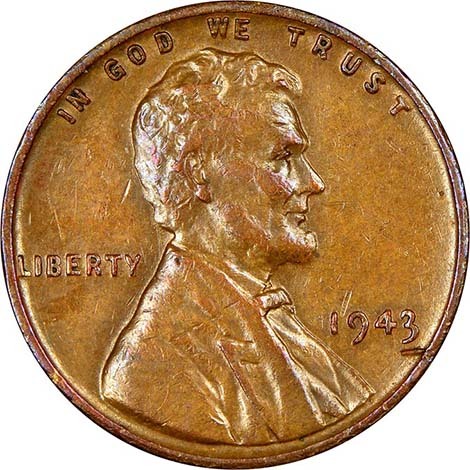 A lustrous and glossy brown, the Lutes Discovery Specimen is just faintly worn and is among the more attractive of the 17 Philadelphia 1943 bronze cents that have since been confirmed. The NGC certification label features the pedigree "Don Lutes, Jr. Discovery Specimen," preserving this coin's important place in numismatic history. 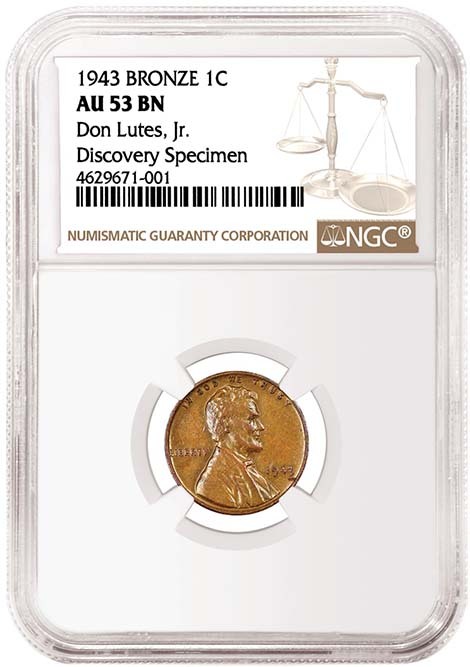 "Like so many other young coin collectors growing up in the 1970s, there was always the dream of finding a 1943 copper cent," said David J. Camire, NGC Grading Finalizer and a mint error expert. "This coin, for me, is certainly the ‘Holy Grail' of mint errors. Rarely today does a discovery piece come to market, after all these years, still in the possession of the original owner. A ‘dream coin' to many, soon someone will become only the second owner of this legendary rarity." Heritage Auctions President Greg Rohan added: "NGC's expertise in error coins is well-known in the numismatic community. After conferring with the consignor, the decision was clear to submit the coin to NGC."